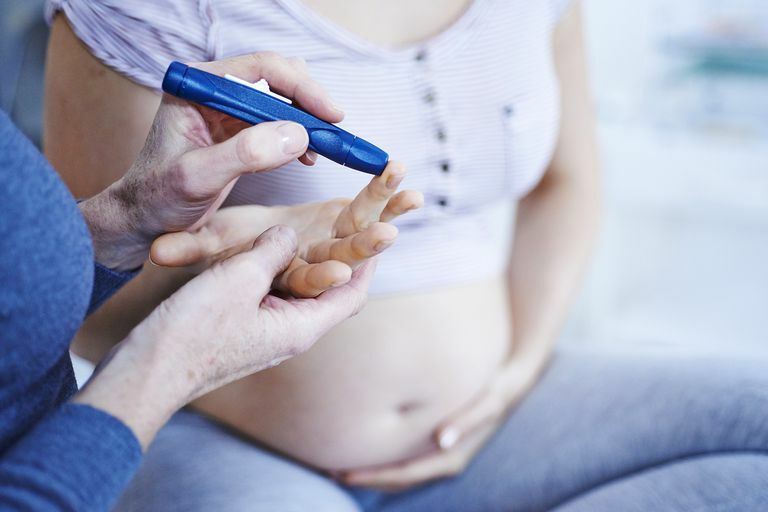 Whether you have diabetes prior to getting pregnant or have gestational diabetes as a result of pregnancy, the key to managing your condition remains the same: keeping your blood sugar under control. Doing so can avoid the symptoms of hyperglycemia (high blood sugar), including headaches, fatigue, loss of concentration, and blurred vision. Maintaining target blood sugar levels during pregnancy can often be like a balancing act. On the one hand, you want your levels low enough to avoid hyperglycemic symptoms. On the other, you do not want them to be so low as to experience symptoms of hypoglycemia (low blood sugar), including shakiness, lightheadedness, confusion, nausea, vomiting, and fainting. According to a study from the Centers for Disease Control and Prevention, as many as nine percents of women will develop gestational diabetes during the course of her pregnancy. Most women who have gestational diabetes will give birth to perfectly healthy babies. But, in order to do so, you may need to make changes to your lifestyle to promote a healthy pregnancy and avoid any risks to your baby (including preterm birth, excessive birth weight, and respiratory distress syndrome). Because eating the right diet is central to controlling diabetes, you should not try to "wing it" or create a diet on our own. Instead, work with your healthcare provider to ensure that it is tailored to your specific condition and health. This includes getting the right balance of carbohydrates to give you the energy and glucose you need but not so much that it throws your blood sugar off balance. This may require you to count your carbs every day and plan your meals around that, making sure you have just the right amount of starches, fruits, vegetables, proteins, milk, and fats. Exercising moderately is not the same as doing household chores or a stretch class. It requires you to engage in physical activities such as walking, swimming, or doing a prenatal aerobics class. Doing so can help your body better regulate the insulin output and, in turn, your blood sugar levels. At the same time, you don’t want to over-exercise as this can have the opposite effect. The simple rule of thumb is this: if you can talk easily while doing an activity, instead of gasping for air, then your level of exertion is good. If you can’t or are gasping for air, you need to ease back and moderate the exercise you are doing. As with your diet, it is best to do work out a fitness plan your doctor and a health professional experienced in gestational diabetes. Whether you are overweight or of normal weight, you need to maintain control of your weight gain during the course of your pregnancy. Depending on your weight at the time of conception, as well as your height, your doctor will be able to tell you how much weight you should gain at any point during your pregnancy. The total gain can range anywhere from 15 pounds if you are obese to as much as 40 pounds if you are of normal to low weight. It is also important to note that weight loss during pregnancy is not only bad; it can be dangerous. You should never embark on a weight loss program of any sort while you are pregnant. Rather, focus on managing your weight gain within the recommended limits with the appropriate nutrition and exercise. Based on your results, you can tell if your fasting glucose is on target (no higher than 95 mg/dl) and if your levels are on target one hour after eating (no higher than 140 mg/dl) and two hours after eating (no higher than 145 mg/dl). Moreover, if you keep track of your blood sugar in a journal, including information about your diet and exercise, you can begin to get a grasp on how certain foods or activities affect your blood sugar and make adjustments to keep yourself on target. Even if you do everything your doctor tells you, you may still need to take insulin during your pregnancy to keep your blood sugar under control. This doesn’t mean that your baby will be at any greater risk of complications; it simply suggests that extra steps need to be taken to prevent fluctuations that neither diet nor exercise can fully control. If insulin is prescribed, your doctor will show you how, when, and how much you would need if ever your blood sugar is high. This can often occur if you get sick or are under extreme stress. It is also important to be aware of the signs of hypoglycemia and the dangers of low blood sugar during pregnancy. While less common in women with gestational diabetes, the use of insulin can increase the risk considerably. Ultimately, the goal is to keep your blood sugar under control no matter how much insulin it takes. Most women on insulin will take two shots per day, but you may get better control with three. With proper monitoring and guidance from your doctor, you should be able to attain the controls needed to ensure a normal, healthy pregnancy. DeSisto, C.; Kim, S.; and Sharma. A. "Prevalence Estimates of Gestational Diabetes Mellitus in the United States, Pregnancy Risk Assessment Monitoring System (PRAMS), 2007–2010." Prev Chronic Dis. 2014; 11:130415; DOI: 10.5888/pcd11.130415. National Institute of Child Health and Human Development: National Institutes of Health. "Managing Gestational Diabetes: A Patient’s Guide to a Healthy Pregnancy." Washington, D.C.; updated 2014; NIH Pub. No. 04­2788.